MASCHINE STUDIO is the ultimate groove production system, combining software and hardware in perfect harmony. Get absolute, hands-on control of every aspect of all-new MASCHINE 2. 0 software without having to resort to hardware shortcuts or use a mouse. See everything you do on two gorgeous, hi-res color displays.And because software can be easily updated, MASCHINE 2. 0 will always keep you on the cutting edge of technology, pushing your creativity further than you ever thought possible. 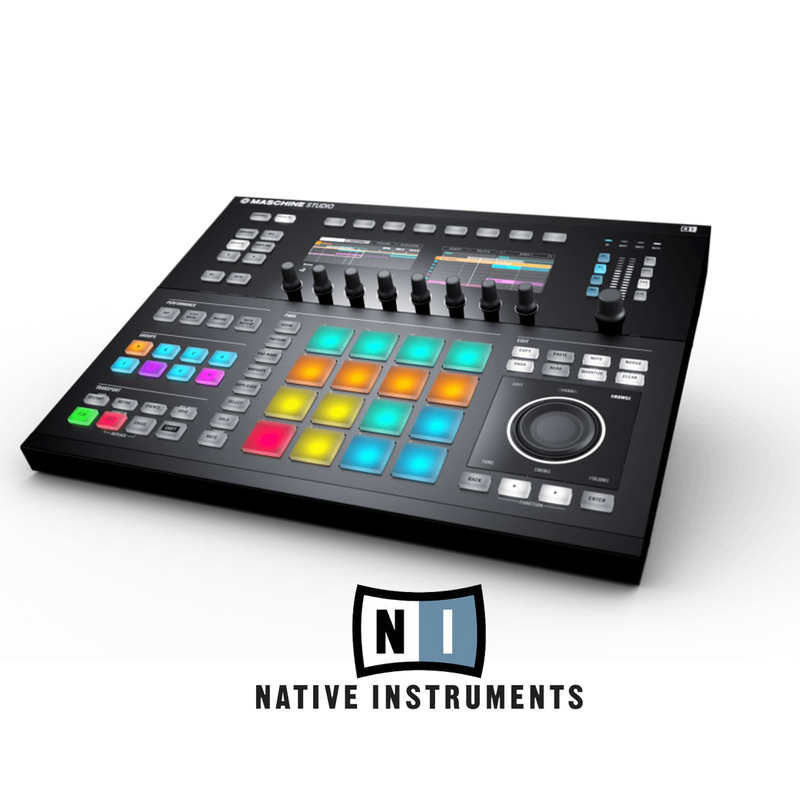 MASCHINE STUDIO is the ultimate instrument for blazing-fast groove production. Start working on the hardware and the ultra-intuitive workflow quickly becomes part of your muscle memory. Devote all your time to making the music you want to make, not learning the tools you use to make it. MASCHINE STUDIO’s luxurious layout lets you control the software functions from the hardware with dedicated controls– no switching menus or navigating complex key commands. This is full-time creative flow. MASCHINE 2. 0 makes you faster. A top-of-the-line audio engine saves resources while delivering the highest audio quality possible. 32-bit float internal summing gives your tracks a shine you’ll instantly notice. Advanced multi-core technology runs multiple processes in parallel, dividing complex tasks between your computer’s cores. Run more plug-ins. Mix with ease. Load up even more sounds on unlimited groups, and so much more.The result is the most responsive, fluid, and musical MASCHINE software ever.